Coimbatore : The parents of the sexually assaulted and murdered 7-year old girl alleged Saturday that the Government hospital authorities were delaying to hand over the postmortem report to them. In a brief chat with presspersons here, the mother of the victim said that some media were spreading false news with regard to their daughter. She alleged that both police and hospital authorities were delaying to hand over the postmortem report to the family and sought the help of the district administration. The parents had come to the city to attend a function at which a woman teacher handed over Rs 1 lakh to them. 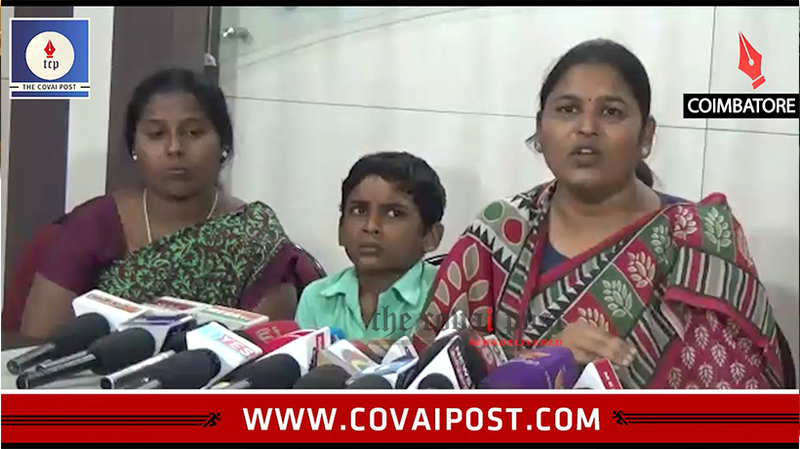 The teacher, Sabarimala, who had resigned after the NEET tragedy, where a student committed suicide, said that the money collected from various quarters will be help in the construction of a house and support the education needs of the victim’s three-year-old sister.